Its 2 a.m. and you lay in bed unable to sleep, due to the metronomic *tink* of the dripping faucet into your stainless steel kitchen sink. You try counting the drips but it doesn’t seem to help. Finally you drift off to sleep, only to be awoken 15 minutes later by a beeping sound. Groggy, you barely realize that it is not occurring in dreamland and yes, that beeping is real. As you lay there thinking about how it you have to get up early for a presentation, you hear *tink* *beep* *tink* *beep* …… *beep* *tink*. As soothing as that may sound, its not and you resign yourself to the fact that you are never going to get any rest. Just then, the furnace kicks on and what was once a fairly gentile whirring sound has suddenly transformed into a whistle like a banshee trapped in a vacuum cleaner. The midnight symphony of *tink* *beep* *tink* *screeee* has come to a crescendo. Yes, it is either time to get some military grade hearing protection effective at blocking out the cacophony of nighttime noises or you need to contact ARC Handyman Services. That beep you are hearing in the middle of the night? Yeah that is probably your smoke alarm. Many of us are convinced that the batteries in a smoke alarm will function perfectly fine in the daytime, but once you turn out the light and get in bed, they die immediately. That beeping is not necessarily anything to be worried about; it is simply a reminder to change the batteries. Now, if there is no break in between beeps and the alarm is going off, get out of the house right away. 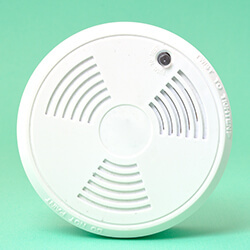 Smoke alarms are generally something that homeowners never think about, that is until those midnight beepshows. It is then they make their presence known. Changing the batteries in the smoke alarms throughout your home is a good way to avoid being woken up in the middle of the night, or worse yet, ripping the alarm off of the ceiling and mumbling something about “I don’t care if there is a fire I need sleep.” At ARC Handyman Services, we are more than happy to come in to your home to test, inspect and if needed, replace your smoke and carbon monoxide detectors. Smoke alarms, as a rule, should be replaced every 10 years whether they need it or not. If your smoke alarms are hardwired into your home’s electrical system, we can replace those as well. So don’t let the beeping drive you crazy, contact us today. Nothing is more annoying than turning off your faucet, only to walk away and hear the distinct sound of water dripping into an empty sink. It is one of the great mysteries of the universe that allows that sound to carry large distances through the dark. If your faucet is dripping, and dripping, aaannnnnnnd dripping, it is generally a repair that we at ARC Handyman can handle fairly quickly. 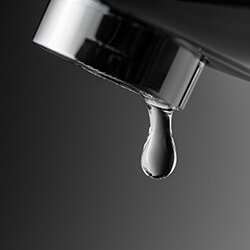 In fact, we have repaired leaky faucets in homes from Ventura to Goleta. Of course, if you have ripped the faucet out of the sink in a fit of rage, (don’t worry it happens to the best of us) you have only one option, replace that faucet. Generally, it is much easier to fix a leaky faucet than replace one, which is why we discourage fits of rage that result in a severed faucet. Of course, you don’t even have to have a leaky faucet to feel the need to replace your fixtures. New faucets can brighten up a bathroom or kitchen like nothing else, and ARC can perform the work for you. 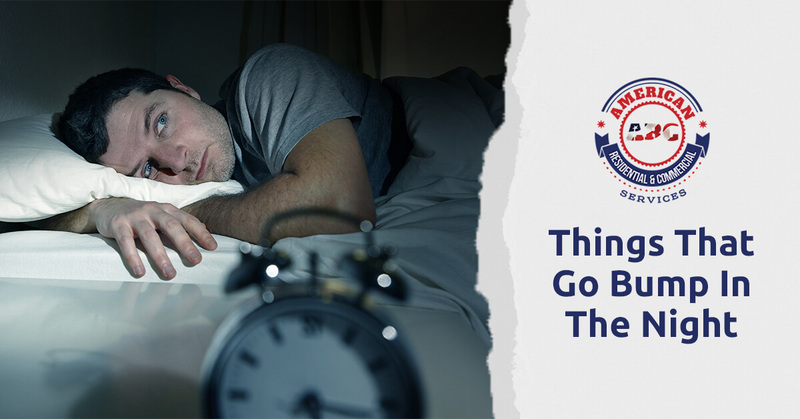 Regardless of whether your faucet is keeping you up at night because of the constant *tink* *tink* *tink* or because your fixtures are so hideous, ARC Handyman can help. 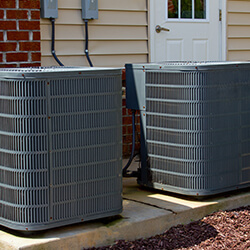 If your furnace or air conditioner turns on and you hear a constant whistling sound, that is a clear indication that your HVAC system needs maintenance. Much like the *beep* and the *tink*, the *screeee* is a noise that presents itself in the middle of the night. It can build from a small whirring sound to a full-blown, ear-piercing scream. When this happens, dust and dirt have most likely built up in they system and should be cleaned out. At ARC Handyman Services we can perform the routine maintenance that will revert your furnace back to the quiet, soothing hum that could put a four year old to sleep after a box of Girl Scout cookies. So on matter what goes bump in the night in your home, chances are, you can correct the nuisance with a little bit of maintenance. At ARC Handyman Services, we are committed to solving those little problems around your home that can keep you up at night. Whether it is light plumbing, HVAC maintenance or smoke alarm installation and inspection, we are your local handyman service standing by to assist you. Our list of services encompasses just about everything that the modern homeowner would need when maintaining their home. We do painting, build those shelves in your basement, we can even setup that home entertainment center in your living room. Whatever you may need, feel free to let us know. Please contact us today for an appointment and prepare to rest a bit easier tonight.